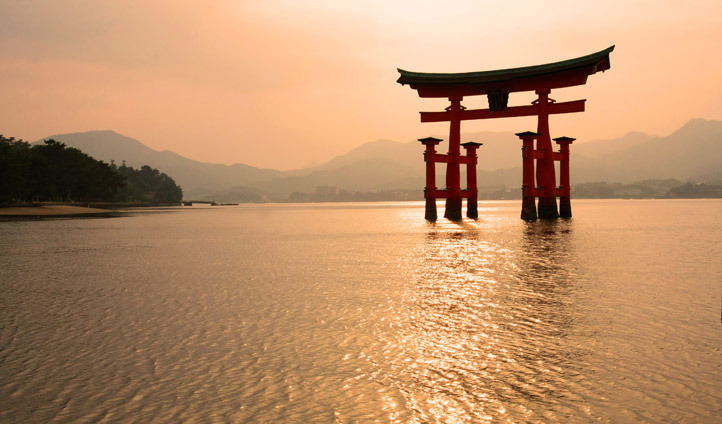 Miyajima has been worshipped since ancient times as a “divine island” and it is here you will find Iwaso, a place which highlights the island’s history and romance. Iwaso was built by Iwakuniya Sobei in 1854 when he requested permission to open up Momijidani Park and proceeded to build a bridge and teahouses for visitors resting along the River. 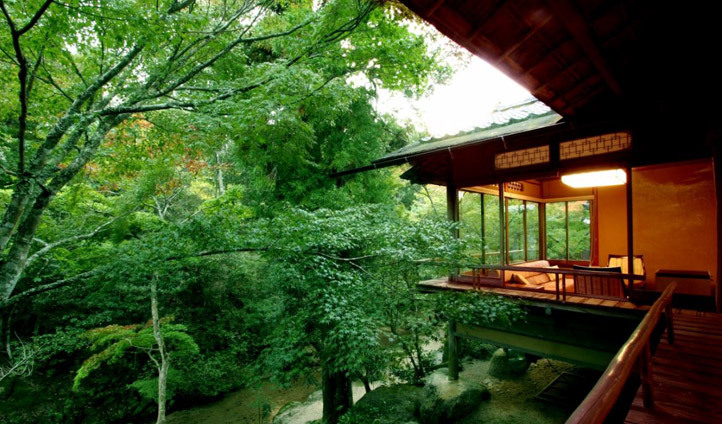 Eventually he created an inn so visitors could linger in the relaxing atmosphere of Miyajima. Today guests will enjoy the same tranquil environment full of crimson maple trees, cherry blossoms and greenery and can easily visit the nearby World Heritage Site, the Itsukushima Shrine. Take a walk from the ferry port through the blossoms and trees and gaze along the river, and by the time you arrive at Iwaso, some fifteen minutes later, we guarantee you’ll wish the walk was longer. Just a ten minute walk to the cable car station where you will appreciate the gorgeous views and only three minutes on foot to the Itsukushima shrine, everything is right on your doorstep. Traditional Japanese design elements including decorative openwork screens and sliding partitions, lattice work and alcove posts meets modern conveniences including air-conditioning, television and hair-styling tools. You’ll be spoiled with a Yukata (Japanese Robe), Futon (Japanese bedding) Setta and Zouri (Japanese slippers) on arrival. To begin with each guest receives two presents: a tabi and kinchaku. For those not learned in Japanese that is clove-dyed Japanese socks and a flower pattern little bag to treasure from your traditional stay. The surrounding valley is also one of the most beautiful spots on earth. After you visit the traditional baths sitting and relaxing around the grounds of Iwaso is simply a lovely way to spend a day – and if you are lucky you may meet a friendly wild young deer or raccoon.